Turn your romance smarts into a strategic approach to developing meaningful relationships with B2B prospects on social media. Valentine’s Day is two days out (if you’re just remembering this, good luck). Expectations are high, but don’t worry, the Love Doctor is in. Whether you’re more in need of relationship advice or a better approach to social sales, I’m here to help. Turns out, the two approaches aren’t all that different. You have to tread carefully to avoid scaring people off, care about their interests, ask the right questions, and really listen to what they want. 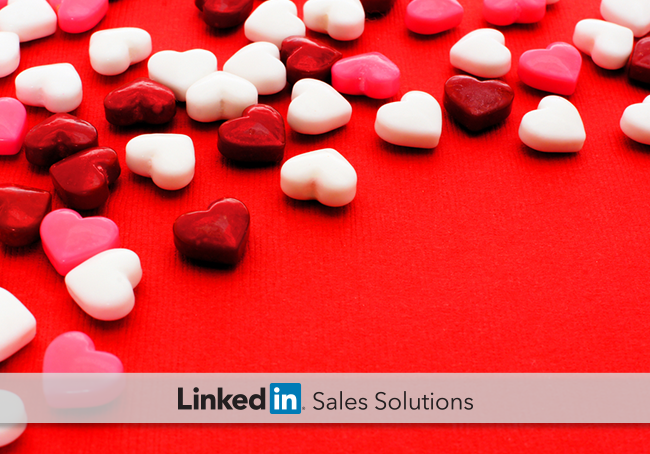 And hey, if you’re not lucky in love this Valentine’s Day, at least you can be lucky in sales. Here’s how. This is 2016—if you’re still approaching potential dates at the bar, you’re seriously behind the times. Today we have apps like Tinder, Bumble, and OkCupid—this is where it starts. Your potential mates want to know if you have mutual friends, shared interests, and at least one photo that isn’t a creepy selfie. Have you ever heard of swiping right on someone without a picture? Me neither. These dating apps are designed to capitalize on the natural human tendency to feel safer and more interested in someone who has a shared connection or interest. 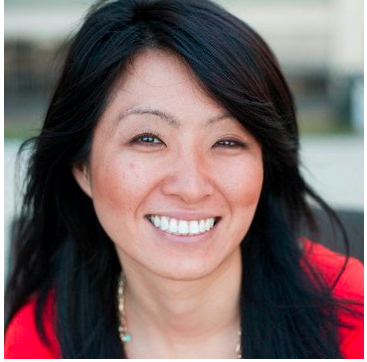 Social selling is no different. Being a successful social seller requires an online persona that inspires trust and an approach that capitalizes on mutual connections. 87% of B2B buyers or influencers had a favorable impression of a salesperson who was introduced to them through someone in their professional network. It’s not about a quick and flashy impression: rather, it’s meaningful outreach that creates the potential for a more substantial relationship in the future. When you’re just one in a string of social sellers, put your best foot forward with an optimized profile, personalized engagement, and logical points to drive the conversation. Things get even trickier after the first date. Maybe you’ve made a good initial impression, your companion has expressed interest in continuing the relationship, and now you have a week of texting to keep him or her on the hook. Listen to what they’re saying. You’ve asked the right questions, but don’t stop now. You have their attention and what comes next is of critical importance. If you fail to listen to their concerns then the meaningful conversation you worked hard to start will come to the screeching halt. There’s no need to brag, but you can let them know you have strengths of your own. Share articles you’ve written or read, talk about how you’ve helped people like them in the past, and let them know you’re there for them. Making a relationship last isn’t about immediate results! Prospects are people, and they deserve to be treated as such. Valentine’s Day may be the most simultaneously loved and loathed holiday there is. You’d never send a potential boyfriend or girlfriend a canned message that could be intended for anyone, so don’t do it to your prospects either! Take a lesson from your relationships. For more on creating meaningful, lasting B2B relationships, our eBook, How Personalized Selling Unlocks Competitive Advantage.